Several weeks ago, top negotiators in Myanmar’s government were in peace talks with at least 10 ethnic minority groups, and set up an independent commission to investigate the violence between the Rakhine Buddhists and Rohingya Muslims that occurred this past summer. An outbreak of violence in June left 80 Rohingyas dead and an estimated 100,000 displaced. The commission will look at how further violence can be prevented, including examining the status of the ethnic minorities. It is due to report its findings in mid-November. Because the Burmese government denies the Rohingya the right to citizenship in their homeland, many Rohingyas have had their land confiscated, have limited access to education and are restricted from travel. It is estimated that many would starve without the outside aid they currently receive. Zakat Foundation of America and its partners are committed to helping the Rohingya Muslims suffering in Burma and Bangladesh. 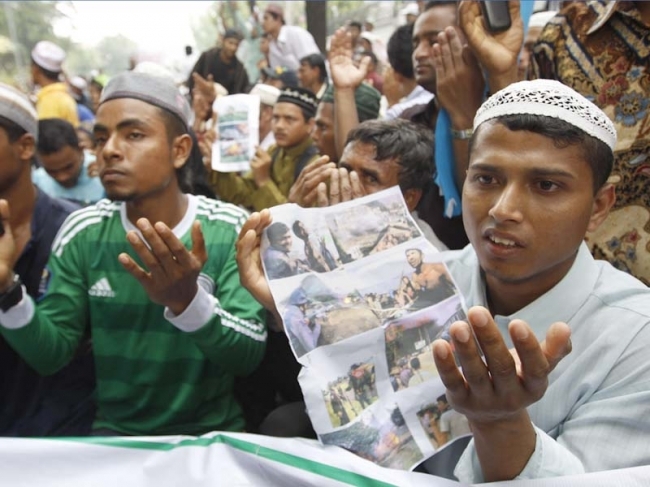 Help us alleviate the pain of Burmese Muslims by donating today. Also, please keep the oppressed in Burma in your thoughts this Eid ul-Adha. We will be providing fresh meat to Muslims in Burma during Udhiya/Qurbani.